J S Building Contractors Builders are based in Leeds, West Yorkshire and can provide an architect to offer a full plans to completion service for building your extension / loft conversion, working alongside McNicholas Architects, a well established and trustworthy architectural company working in and around the north leeds area. We are a professional and reliable building company who provide high quality building and architectural services for both domestic and commercial clients throughout West Yorkshire and surrounding areas. 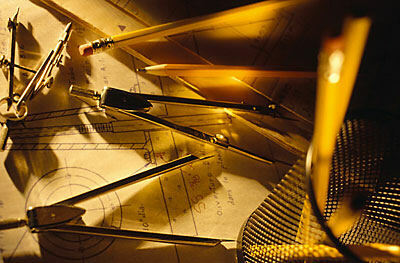 We are here to offer advice, sketches and a full Architectural Service. We have many satisfied customers and can therefore offer reliability and reassurance that you have chosen the right company to improve your home. J S Building Contractors Builders have worked hard to create a reliable, highly skilled team of craftsmen who have immense pride in what they do and in doing so we have built up a reputation for quality and professionalism throughout West Yorkshire. J S Building Contractors Builders has a team of skilled craftsmen with the vision and ability to create impressive improvements for your home or property, whatever its size or situation. Please click on the link below to be forwarded straight to McNicholas's website. You can then speak directly to Vincent McNicolas and he will guide you through the planning process and draw up all the plans needed for submission to the council, should your project require planning permission. Please advise Vincent you have been put into contact with him, through JS Building Contractors website, and he will be more than happy to get the ball rolling for you with your project. Please contact us to discuss your building requirements, dreams and visions. plumbing, heating, electricians, brickwork, bricklayers, capentry, joinery, plastering, scaffolders, roofers, tilers, Kitchens and bathroom fitters.